In the historic hamlet of Oysterville, Washington, past and present intertwine. For author/historian Sydney Stevens, whose family has been continuously present in Oysterville since its founding in 1854, the voices of her forebears are a part of daily life. 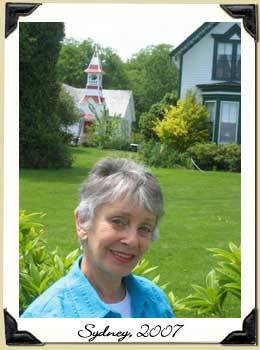 Her books offer readers a compelling view of this remote coastal region as seen through time and from the inside out. Oysterville Daybook, Sydney’s blog, captures the essence of life in Oysterville on a daily basis. Here Sydney speaks her mind on the ins and outs of living in this tiny, rural community where change is constant, though not always popular, and residents struggle to maintain the balance between what was and what is. The blog may be reached by clicking on Oysterville Daybook in the sidebar at left.